Last Friday saw several films — big and small — releasing at the same time. Bhoomi, Haseena Parkar, Newton and Jai Lava Kusa were the four films to clash at the box office. 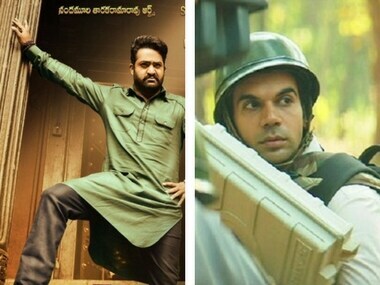 Jai Lava Kusa and Newton. Images from Twitter. While the Sanjay Dutt-Aditi Rao Hydari starrer led the race on the opening day with Rs 2.25 crore, Shraddha Kapoor's gangster film garnered Rs 1.87 crore. Rajkummar Rao's Oscar contender Newton managed to have a humble opening, making Rs 96 lac. The weekend numbers and in and it looks like the dry spell for Hindi movies at the box office continues, with Newton bringing some respite. 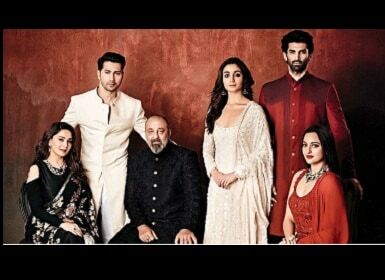 As per Taran Adarsh, Bhoomi has tanked despite aggressive promotional strategies. The film has made Rs. 7.48 crore so far. #Bhoomi is a FIASCO... Fri 2.25 cr, Sat 2.47 cr, Sun 2.76 cr. Total: ₹ 7.48 cr [1894 screens]. India biz. Newton on the other hand, showed impeccable growth and announced its arrival with a bang. It's total collections are pegged at Rs. 6.90 crore. The film was appreciated for its subtle yet nuanced storyline. According to a Financial Express report, Jai Lava Kusa's collections are bigger than most Bollywood movies this year. The NTR Jr starrer has grossed over Rs 75 crore worldwide, doing exceptionally well in the USA. According to Koimoi.com, Haseena Parkar has also had a dull weekend, raking in just Rs 7.5 crores. The biopic was slammed by critics for lacking depth. Between Bhoomi, Haseena Parkar and Newton — Newton is the only film to have had a good weekend.